Shout! 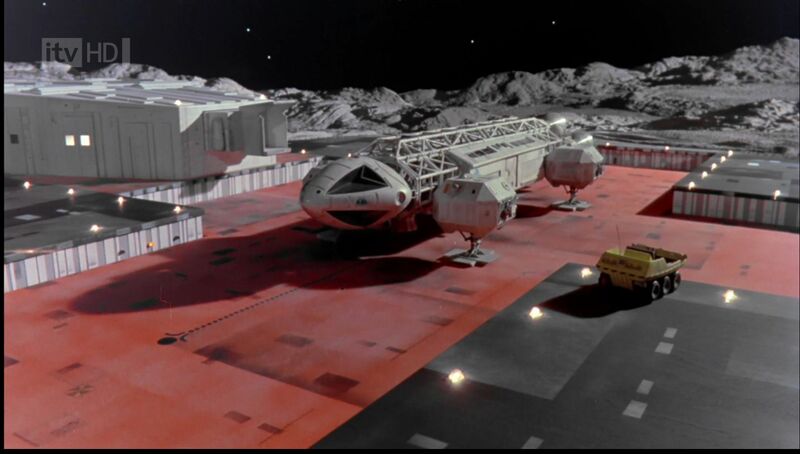 Factory will release Space:1999 on Blu-Ray in July. It's already available (in the USA) on stream from their website. Catch up on your favorite series of forty years ago about something that happened twenty years ago*. *September 13th, 1999 was Barbara Bain's 68th birthday. Many happy returns! And yes, Shout! is working on UFO: The Complete Series too. Stay tuned for news on that. has me all giddy -- but that's another topic. When do we get The Invaders? I was able to purchase UFO on DVD for Region 1, but it will be good to see Space 1889 again. I tried watching the show a couple years back and it has NOT aged well. It just screams seventies. There are a few standout episodes however, the one with the alien that sucked the life out of people leaving withered husks is still creepy. I tried watching the show a couple years back and it has NOT aged well. Fair enough, regarding a show that managed to get itself cancelled just in time for Star Wars. I watched the pilot episode (link in original post) for the first time in many years, and I tend to agree. The moonbase interiors, with their translucent panels, look kind of like the interior of a big plastic lantern. The "futuristic" displays are mostly in black and white. The androgynous grey costumes are flattering to neither man nor woman. On the other hand, the model work is very good, and the Eagle (designed by Brian Johnson*) is a classic (I may still have a model of it somewhere). *Not the guy from AC/DC. I was thinking more about the plots and dialog then the sets or FX. The FX are amazing considering it is pre Star Wars (even post Star Wars they are amazing for the most part). The plastic look of the moon base I can forgive. It is amazing how much more modern it looks then the sets for UFO which was just a few years older. I really enjoy UFO as a series, but having tried to watch Space 1999 on tv as a kid, I just found it interminably boring. As they now replay it on Comet here in the states, I tried to watch it again, and though I respect the actors quite a bit (Marin Landau is an international treasure), I still find it insufferably boring. I want to like it, I really do, but just find it so lacking in pacing and premise. I'm sorry to all you fans out there. I'll self flagellate in penance. Still love the Eagle design, though. And I even had the AMT model of the moon base I picked up for a $1 USD at a garage sale as a kid that included several tiny Eagles. Hobby Lobby had the 1/72 Eagle kits for quite a while. i used 40% off coupons and picked up 3. Great design! I liked the series when it came out. But it could be pretty slow paced. Watched a few years ago and wasn't that excited to see it again.